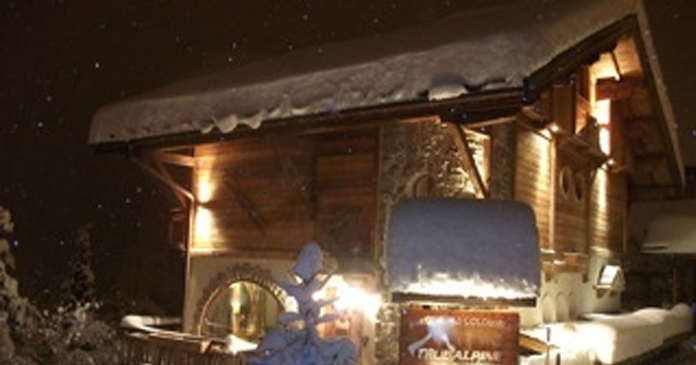 Chalet Colombes is a True Alpine Ski Chalet which is situated in the idyllic unspoiled mountain village of St Nicolas la Chapelle in the Espace Diamant ski area. Travel Info & Directions to the Chalet It is only 85 minutes from Geneva airport and 25 minutes from Albertville train station. We are also only 45 minutes from the beautiful lakeside town of Annecy. The beauty of our location is that each day we can start skiing from a different ski resort within the Espace Diamant ski area. 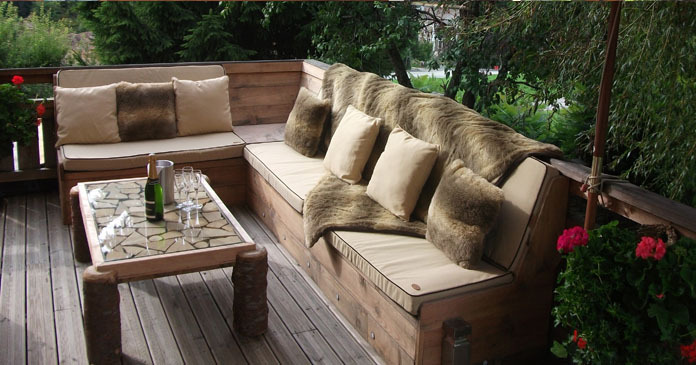 Our luxury chalet can comfortably accommodate 10 people. 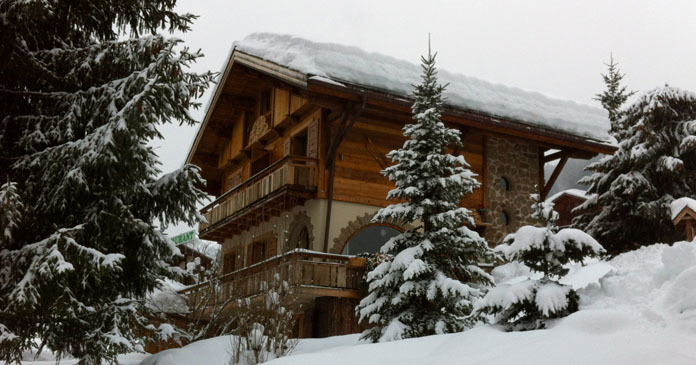 We are happy to take bookings for exclusive chalet use or bookings from individual groups of up to 5 separate parties. 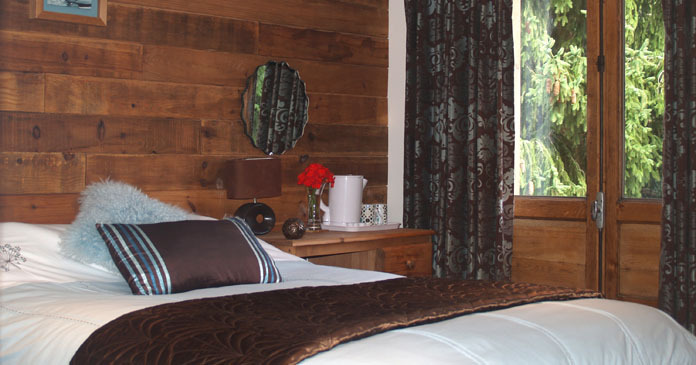 There are 3 twin bedrooms and 2 double bedrooms all of which have modern en-suite facilities. 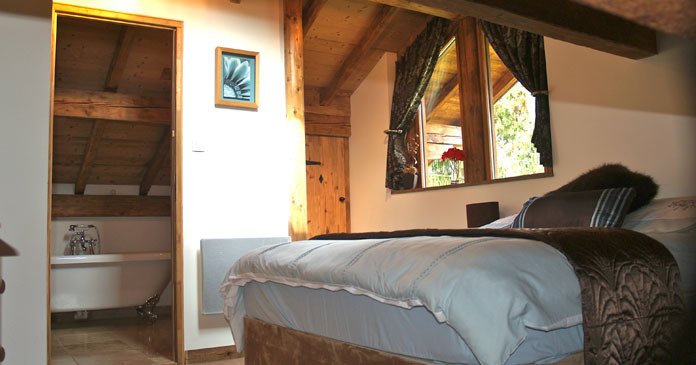 2 of the bedrooms have balconies leading from them with beautiful views over the mountains. We think that a good night's sleep is so important whilst skiing that we have invested in pocket sprung/memory foam beds for our guests' comfort. Every week without fail our guests comments on how comfortable our beds are. Each bedroom also has tea and coffee making facilities and a hair dryer. There are plenty of hooks and storage in all of the bedrooms for your personal equipment and there are safes available in the chalet to lock away those personal valuable items. For your comfort, staff are available onsite 24 hours a day. The beautifully decorated large open plan lounge and dining area have lovely views over the valley and the wood burning stove is a pleasure to sit in front after an enjoyable day on the slopes. 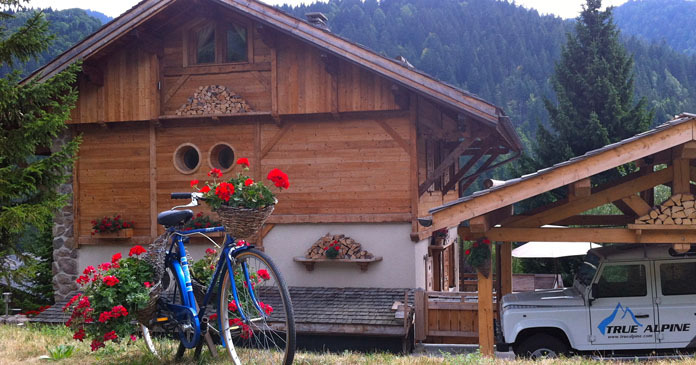 There is NO Television in the chalet making it a true "get away from it all" holiday. 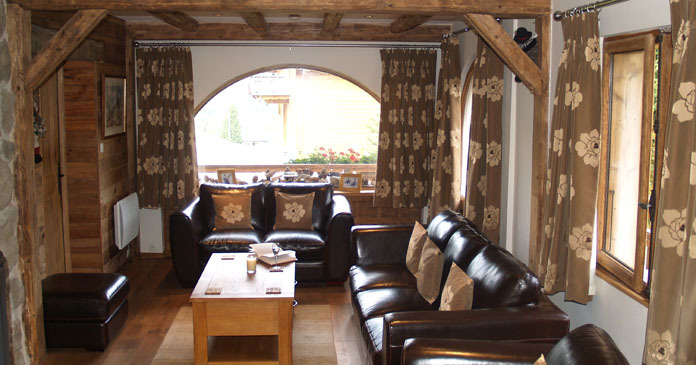 The chalet also offers a warm ski and boot room. Many people feel they need to be very close to the slopes or the activity they are participating in. We have found through experience that if you have the correct vehicle for the job, you have greater flexibility and you can get closer to the activity. 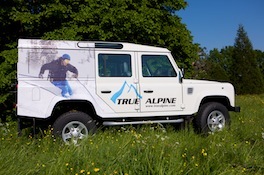 We have two high quality all terrain vehicles. Our trusty Land Rover which has been completely renovated, although not the most comfortable of vehicles it's exactly what you need when the clouds turn dark with snow. This vehicle enables us to transport you safely anywhere and in any weather. Our VolksWagon Caravelle is used mainly for summer excursions and cycling support. It wil transport you in style and safety to your destination. 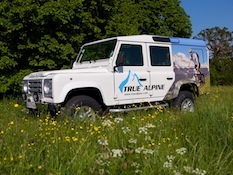 Being four wheel drive gives us greater flexibility during the winter months to support our Land Rover.